The number of hairdressers offering their services for wedding hair is overwhelming. How do you decide on the best one for you? Yes, many of them are excellent but, sadly, some of them leave much to be desired. First, no doubt, you'll be looking for a specific hair style you like: to suit your features, your make-up, your dress and wedding theme. Or, maybe, you'll be looking for some inspiration and direction. So you will want a competent and experienced stylist who will listen to your ideas and focus on providing you with the best possible result. And you will also hope that your stylist is reliable, organised, skilled, creative, calm and capable of relaxing you on your wedding morning; just before you embark on one of the most exciting and important days of your life. Bridal Hair by Helen can meet all of these requirements and more. Helen has been styling long hair for more than ten years, with bridal hair her chosen speciality. 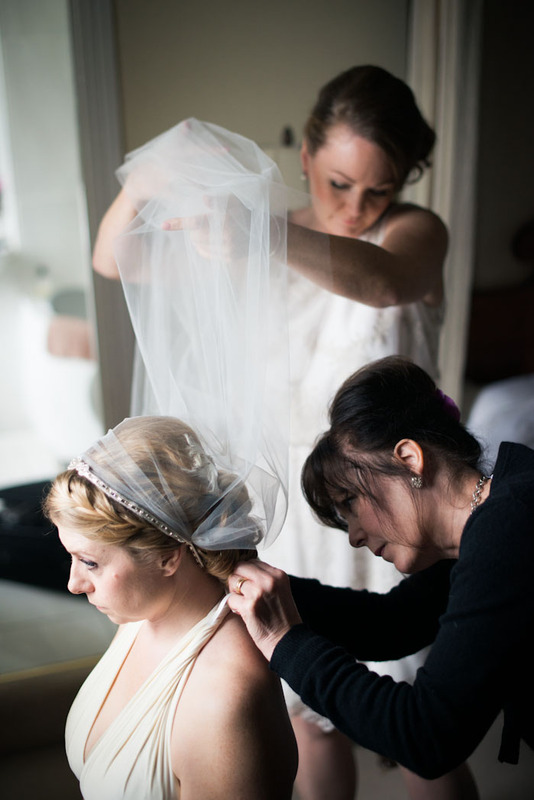 During that time she has attended to over 370 brides throughout the West Country and venues farther afield. She has looked after wedding parties small and large and participated in bridal photo shoots and modelling assignments. As an on-location hair stylist she is thoroughly familiar with the procedures, frenzy and (sometimes) minor mishaps involved with wedding morning preparations. Helen also teaches other professional hairdressers the art of long-hair styling at her training workshops, both in-salon and out. Given Helen's solid experience, she can confidently say that when you have your hair styled by her, you are in the safe hands of a qualified and accomplished expert. And so, when trying to decide, you must leave nothing to chance while shopping around for a hairdresser. Just ask yourself this: Do I really want to risk disappointment elsewhere? Helen looks forward to styling your hair perfectly - so that you enjoy a perfect day – a day you and your husband will never forget.